Noble Shipping Services in Pakistan have recently handled the shipping of a press machine from Indonesia. The 1,500tn press machine was dismantled into 82 pieces and was loaded onto M.V. 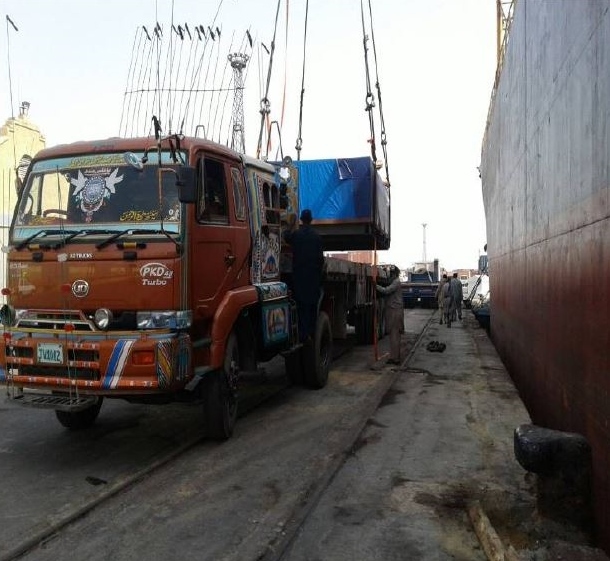 Hosei 28 at the Port of Tanjung Priok in Indonesia and shipped to the West Wharf at Karachi Port in Pakistan before delivery to the consignee, Atlas Honda Cars Pvt Ltd in Lahore. The discharging operations using a floating crane are photographed in the full article. ← Heavy Team – A Children’s Book on Oversized & Heavy Cargo!